Unifor and Compass Minerals agreed to return to the bargaining table on Thursday, July 12, 2018, 11 weeks into a strike at the Goderich salt mine. “We have had hundreds of members of Unifor and other unions strengthen the picket line plus community members visit daily and it’s an amazing show of solidarity for Local 16-0,” said Jerry Dias, National President. Dias joined 348 striking miners on the picket line July 5 for the first in a series of daily rallies in support of the workers. 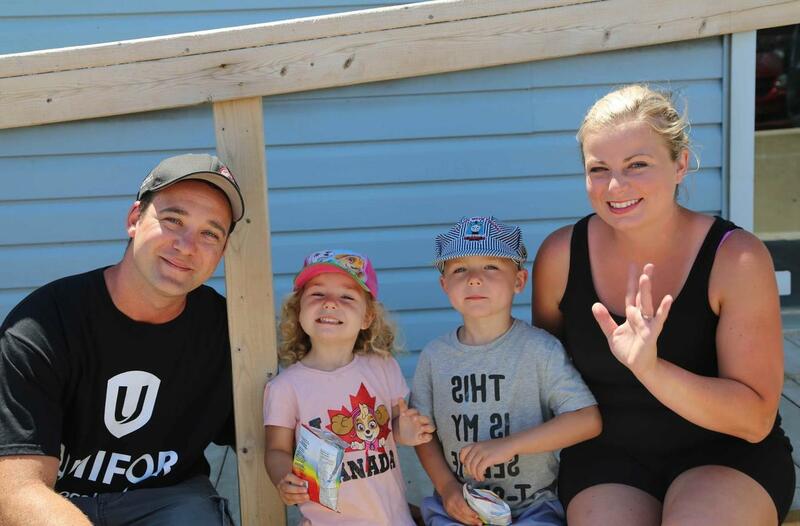 Unifor has also produced a series of videos showcasing daily community events hosted by Local 16-0, including a children’s chalk art contest, a concert, a fishing derby and daily barbecues. Many young families say their children are now feeling the stress of having parents off the job. Vanessa Kelly says it’s very hard on her two children. “They know we are stressed and struggling financially and they just want dad to go back to work at the salt mine because that’s where he belongs,” said Kelly in a video posted here. “The people of Goderich want us to get back to work so life in this town can get back to normal,” said Gary Lynch, President of Local 16-0 at a rally at the picket line. “The solidarity we have seen from members across the province had a real impact on getting us back to the table,” said Scott Doherty, Executive Assistant to the National President. In addition to the efforts on Goderich, Unifor also placed a full page letter in a newspaper from Lana Payne, Atlantic Regional Director, raising concerns about the labour dispute. For more on the history of this strike that began April 27, watch this Unifor YouTube video.